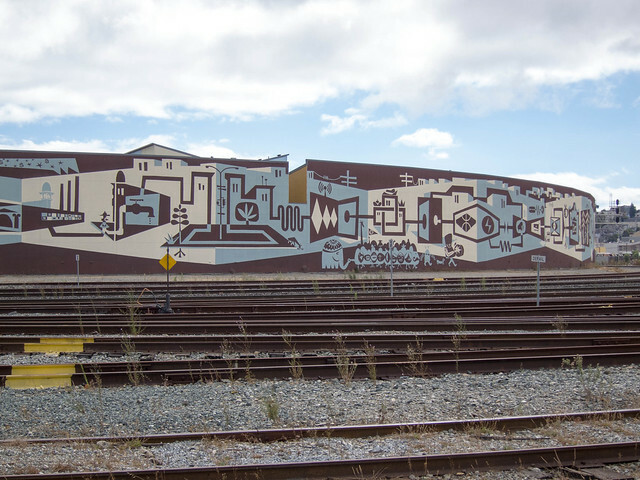 Here are some photos I shot last October of “The Systems Mural Project” a beautiful mural created by Brian Barneclo located at 7th and Townsend in San Francisco. 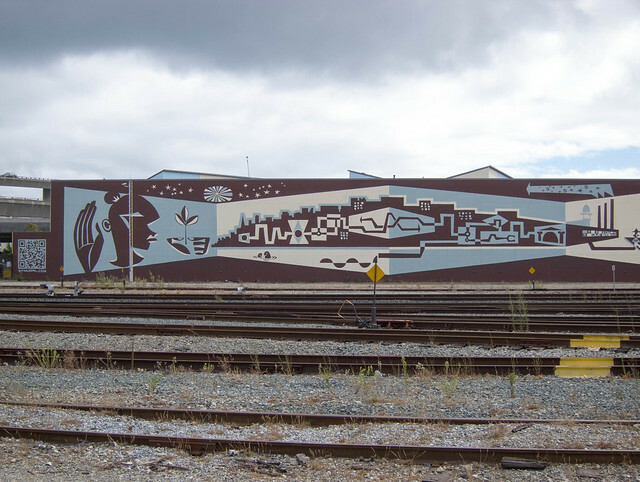 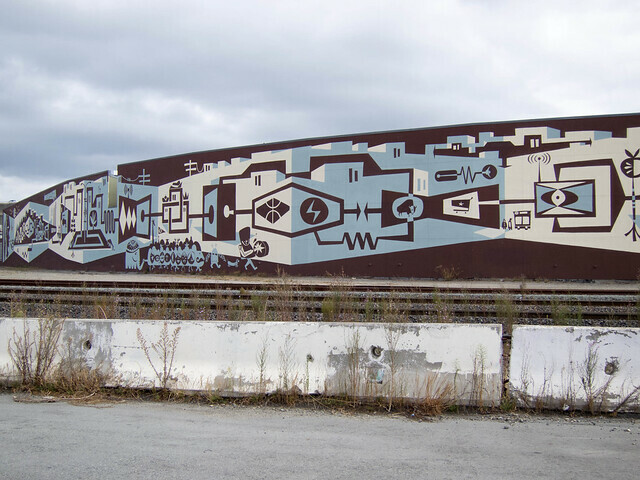 The largest mural in San Francisco, it stands 40′ tall and runs 600′ along a curved wall facing out to the Caltrain rail yard in Mission Bay. 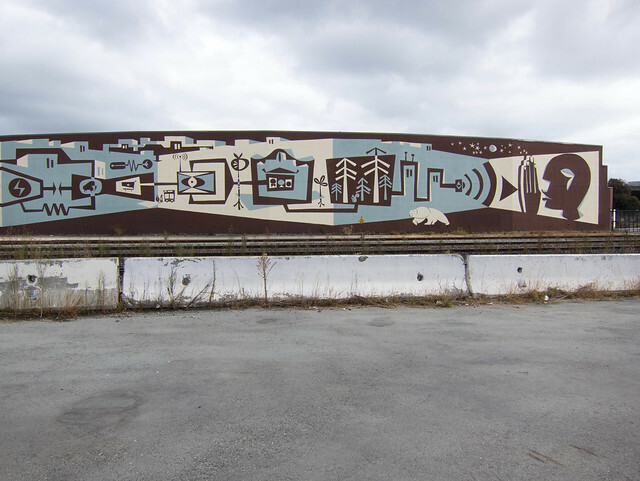 Here’s more on the mural project by SFGate.